FreeKB - Resolve "ADMU3001E: Server launched but failed initialization" Resolve "ADMU3001E: Server launched but failed initialization"
In this example, when selecting Installation verification, the end of the log file contains error ADMU3001E: Server launched but failed initialization. Check the /opt/IBM/WebSphere/AppServer/profiles/<your_profile>/logs/<server>/SystemOut.log file for events with E, which indicates error. For example, let's say the log file contains the following. 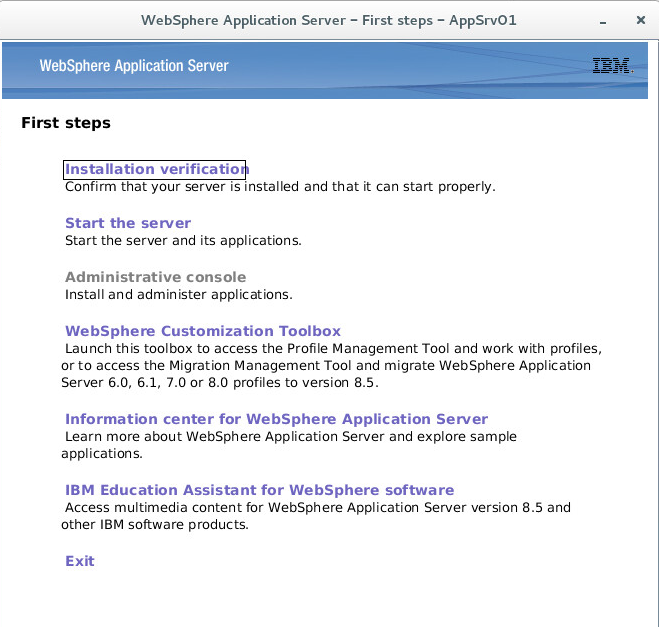 VariableExpan E WSVR0244E: An undefined HOST product variable has been encountered in the krb5Spn property of the /opt/IBM/WebSphere/AppServer/profiles/AppSrv01/config/cells/nullNode01Cell/security.xml#KRB5_1 configuration object.